Rheumatoid arthritis is one of the most frequent chronic diseases and it is estimated that currently over 2 million Americans suffer from it. This disease embraces all the conditions connected with inflammation of the tissues in the joints, therefore, it is usually accompanied with pains (arthralgia) and damages. It usually occurs in people after 55, mainly in women, but it also can be diagnosed in children and teenagers. Arthritis can be caused by abnormalities of immune system, genetic and environmental factors, as well as by problems with digestive system, which cause accumulation of toxins in your body that sooner or later can reach the joints. Unfortunately, there is still no known effective medical cure for this disease. That is why modern medicine can only offer you only one solution: to treat the symptoms of arthritis, that means to relieve pains and discomfort in your joints. One of the most popular and safest ways to treat arthritis naturally is to use herbal remedies in the forms of supplements, cleansing teas, etc. Such products are considered effective, however, they can still cause certain side effects, such as high blood pressure, liquid retention, etc. Since the majority of arthritis patients are aged people, it is absolutely necessary to consult medical specialists and herbalists before choosing to take one or another herbal product and stick to recommended guidelines. It is also possible to use herbs and plants in various forms in order to relief pains in the joints. Coconut is one of the most effective natural remedies for arthritis, which must be eaten or Mustard oil fomentations are also recommended by many doctors. Drinking some bathua leave juice before breakfast can soothe your pains in the joints. Carrot juice and cucumber juice can also help you treat arthritis. Extracts and powders of such herbs as Willow Bark Salix, Larrea divaricata or Arctium lappa (Burdock) help to reduce inflammation, pains and swelling of the joints, as well as stimulate reconstruction of the tissues in the joints, etc. There are many other solutions for arthritis patients based on old recipes from folk medicine. To relief your pains you can also drink a mixture of 2 teaspoons of apple vinegar with 2 teaspoons of honey dissolved in a glass of water. 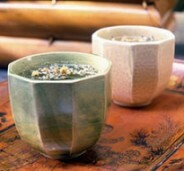 Another method is placing a teaspoon of black sesame seeds into some water and leaving overnight. If taken in the morning before breakfast, this tincture is claimed to help you prevent joint pains. Massaging your joints with essential oils (Lavender, Rosemary, Lemon, Chamomile, etc.) can improve blood circulation and ease your pains. It is safe for every arthritis patient to use herbs and herbal remedies to ease the symptoms and relief pains in the joints. At the same time, in order to improve the effects of natural treatment of arthritis, every patient must to support it with proper diet (in particular, by elimination of such foods as sugar, starch, saturated fats etc. ), the efforts to restore normal digestion, daily physical activities and other measure directed on weight loss. This entry was posted 10 years, 7 months ago.